Bring your BF and both receive $30* credit with us. Everyone likes a little something for nothing, and everyone loves their friends. 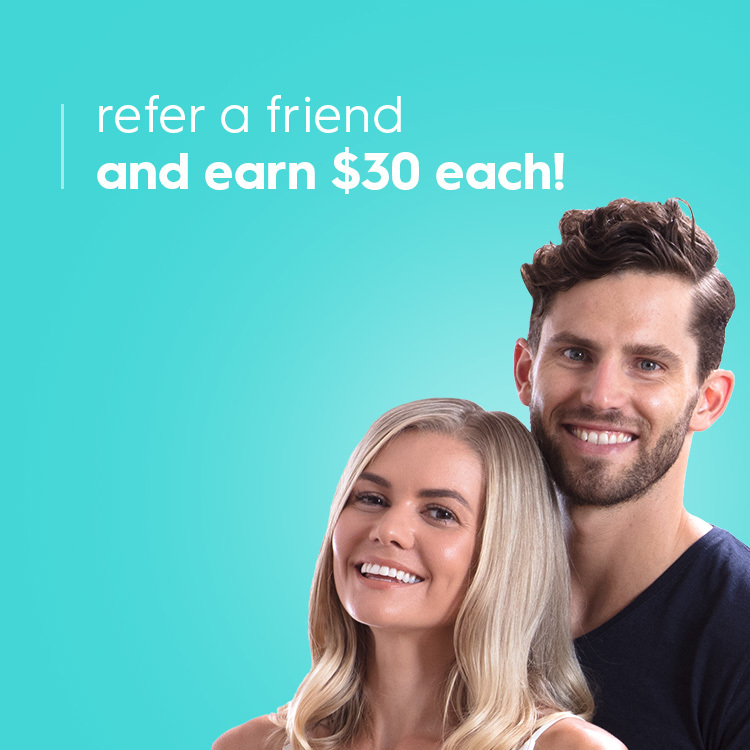 If you refer a friend to Australian Skin Clinics, we’ll give you both $30* credit to use on your next purchase with us. *Terms and conditions apply. Referring a friend to Australian Skin Clinics is easy. Collect a refer a friend postcard from your local Australian Skin Clinics and confirm your client details are correct. Once your friend has set up their client account at Australian Skin Clinics and has purchased their first treatment, both you and your friend will have your $30 credit automatically applied to your accounts, to use on your next purchase. When can I use my credit? You’ll both receive your credit after your friend has made their first purchase with us. Once the credit has been applied to your account, you will be able to apply this to your next purchase. Valid for new client referrals to Australian Skin Clinics only. Discount cannot be exchanged for cash. Discount excludes single product purchases. Discount is not able to be split between persons. Only 1 discount can be used per transaction applied. No limit to client referrals. All standard promotion terms and conditions apply. Or your wife, or your husband, or your mum, or your dad, or your brother, or your sister, or your cousin, or your aunty, or your uncle, or just bring the whole family, there’s something for everyone!